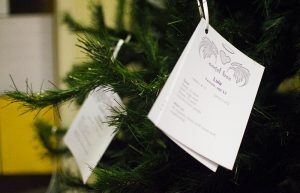 The Angel Tree is located in SAU Reynolds Center, room 102, and gifts are due by 5 p.m. Dec. 14, 2018. Angel adoptions will also be available at the Celebration of Lights on November 29 through 8 p.m. Please call University Housing at 870-235-4047 with any questions. Volunteer. Contact University Housing if you would like to help with this exciting and worthy project.